This entry was posted in Psyops, Recommendations, Video and tagged navy yard hoax on September 16, 2013 by ab. I talk to Robert Newman, who will be on the show this Saturday to talk about 9/11 and Mozart. This entry was posted in 9/11, Radio on September 16, 2013 by ab. Update 2032h: Too many occult numbers to call this suspicious. How about a fully blown psyop? A man brandishing an assault rifle, shotgun and handgun opened fire Monday inside a building at the Washington Navy Yard — killing at least four people and wounding at least seven more, including two police officers, authorities said. 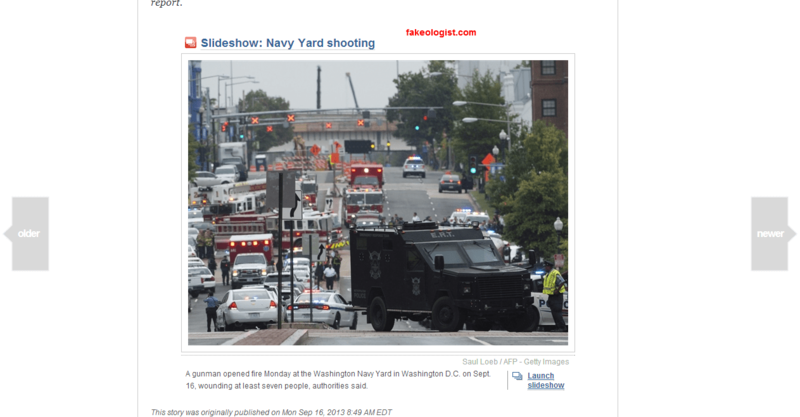 via Gunman opens fire at Navy Yard in Washington, killing at least 4 – U.S. News. This entry was posted in Psyops and tagged navy yard hoax, navy yard psyop on September 16, 2013 by ab. I will post audios in the archives with a letter after the nearest show’s number (to keep it in chronological order). They won’t be from live broadcasts but clips and commentaries. This entry was posted in 9/11, Fakeologist Show, Radio on September 16, 2013 by ab. If people think this person is representative of 9/11 critical thinking, then they’ve never met the fakeologists that hang around here. via Princeton Professor Embraces 9/11 Conspiracy Movement. Anyone who is a professor that doesn’t think that people should think critically shouldn’t be a professor. That said, he’s hardly doing anything to further the cause of those that believe that 9/11 was a completely fabricated event. Check fakeologist.com… and cluesforum.info… and make up your own mind. This entry was posted in 9/11, Comments on other forums, Controlled Opposition on September 16, 2013 by ab. The still frame of a lady in the background is one of the biggest errors I’ve seen in a while. via SPACE STATION HOAXES – YouTube. This entry was posted in NASA hoaxes, Recommendations, Video on September 16, 2013 by ab.